If you are not working to a budget, this information won’t be of use to you. If you are planning to build on your site, a great deal of cost saving can be sought by preparing the site as much as you can yourself. Preparing a site involves the clearing away of any natural or man-made features that obstruct the proposed dwelling or extension. Always note that with any boundary screening changes, being friendly and cooperative with your neighbour is of primary concern. 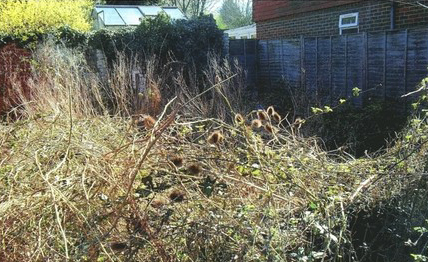 Should you agitate them by excessive ‘cutting back’, it may harm any future planning application, furthermore it may expose and bring attention to proposed structures - so think carefully before removing anything, particularly natural. It is also imperative that you do not remove any trees which may have a Tree Preservation Order (“TPO”) applied to them, to avoid incurring any fines. Because ‘some’ builders may be in a hurry to start building, should they be left to prepare the site, you may disagree with their method or precision. It is therefore recommended that you remove scrubs, hedging and set aside any top soil/grass, this may be anything up to 300mm / 1 foot in depth. This can be carried out by you or the services of a local gardener, you should find great control with the latter. When using any new service provider, whether builder or gardener, it is sometimes wise to involve them in very small amount of work initially, to ensure you are satisfied with their quality of work.